It would be overkill to beat this failed franchise starter down again, but the fact is Green Lantern is clearly scraping the bottom of the barrel of the old school comic book superheroes. The story of an Air Force test pilot chosen to be a member of an intergalactic policing squad to fight off their encroaching arch enemy from taking over Earth should have stayed on the page. The over-ambitious intergalactic plotting and mondo special effects sequences sink any attempt to humanize this story. This was the same problem with Thor, which mostly took place in another universe, thus lowering the stakes on Earth and reducing our ability to identify with any of the conflicts at play. 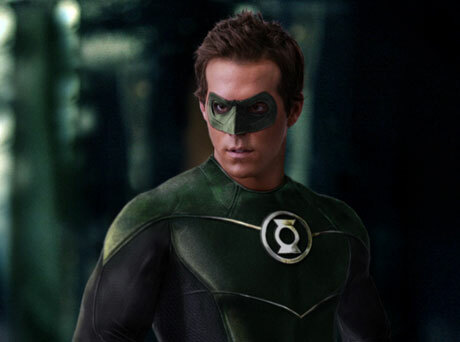 That said, in Green Lantern the filmmakers make no allusions that this is "realism." While more successful films like Iron Man, Spider-Man and Batman have a shred of plausibility, Green Lantern is pure fantasy. In fact, in the Blu-ray special feature "focus points," the filmmakers and actors look genuinely confident that they're doing great work, a hubris derived from their honest integrity for the tone of the original comic. This universe is played for serious and, if anything, it's actually refreshing to be saved from another self-aware superhero. Hal Jordan (Ryan Reynolds) is a straight-up old-fashioned superhero transplanted directly from the pages of the comic, a square jawed jock heavily flawed and in need of inspiration and emotional cleansing, which he receives from his gifted superpowers. Reynolds' warm, accessible personality is ideal for this role, but sadly he's subdued by the grandiosity of the story and the excessive technical tricks. Visually there's also a strong whiff of Battlefield Earth: the green cinematography and elaborate alien creatures serving as key supporting characters, in particular Peter Sarsgaard's enormous head, which recalls John Travolta's ludicrous headgear in the L. Ron Hubbard flop. But, really, the commonality is the uninspired direction, in this case from Martin Campbell, who fails to make us care for his characters or excite us in any way. The Blu-ray special features comprehensively break down the origins of the comic, the film and the key aspects of making this huge effort. Ironically, I found myself interested more in the disconnect between the enthusiasm of the artists involved than the dismal result on screen.